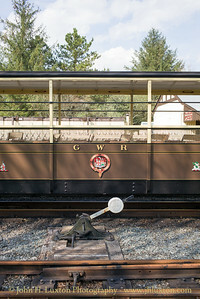 The former Cambrian Railways / Great Western Railway narrow guage line from Aberystwyth to Devil's Bridge. 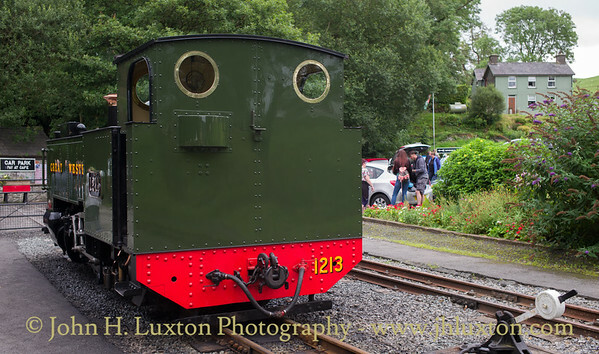 This was the last line to operate steam traction on British Railways only ending in 1988 when the line was privatised and sold to the Brecon Mountain Railway Company. 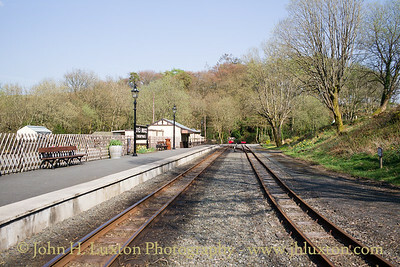 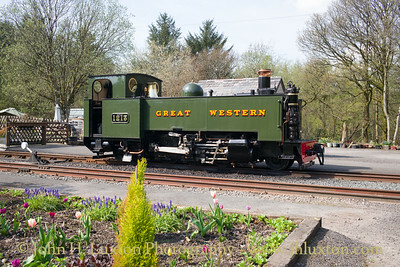 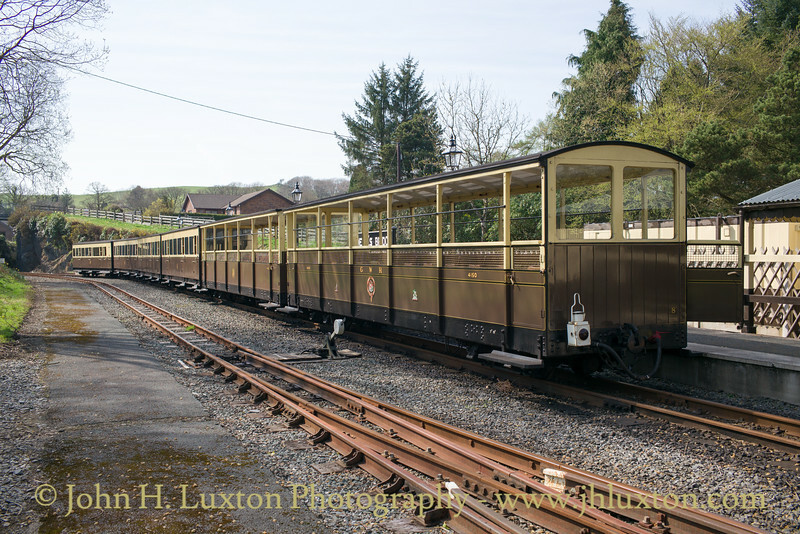 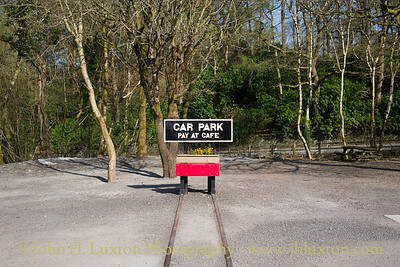 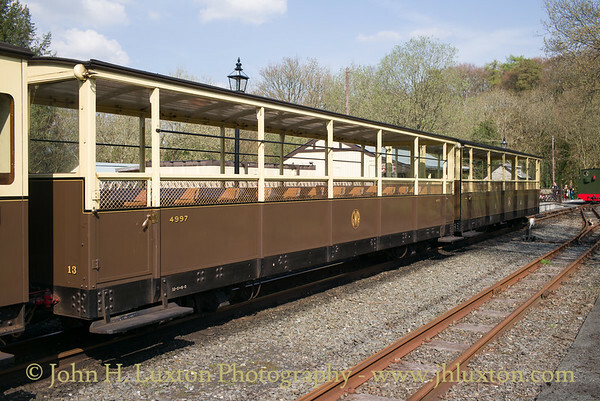 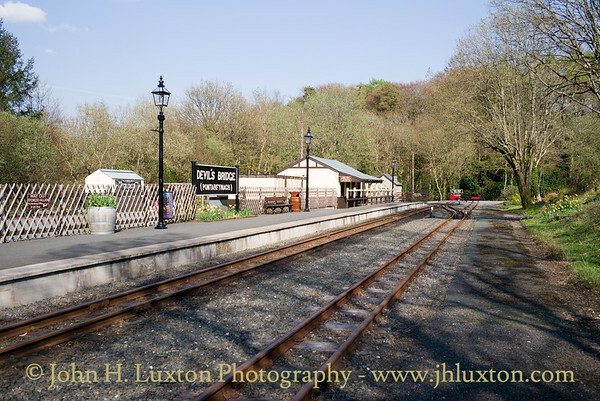 Today the line is now owned by the Phyllis Rampton Narrow Gauge Railway Trust. 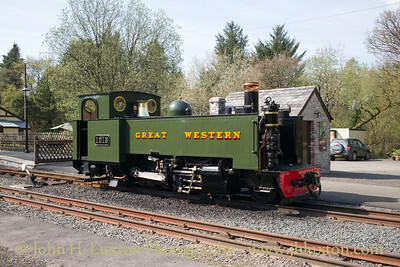 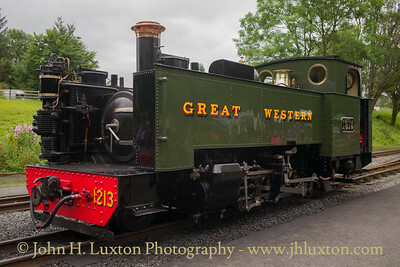 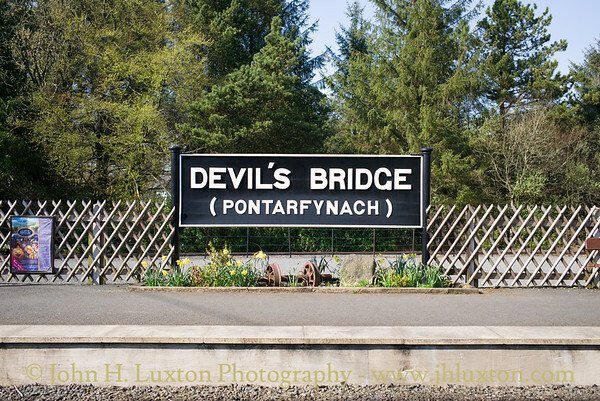 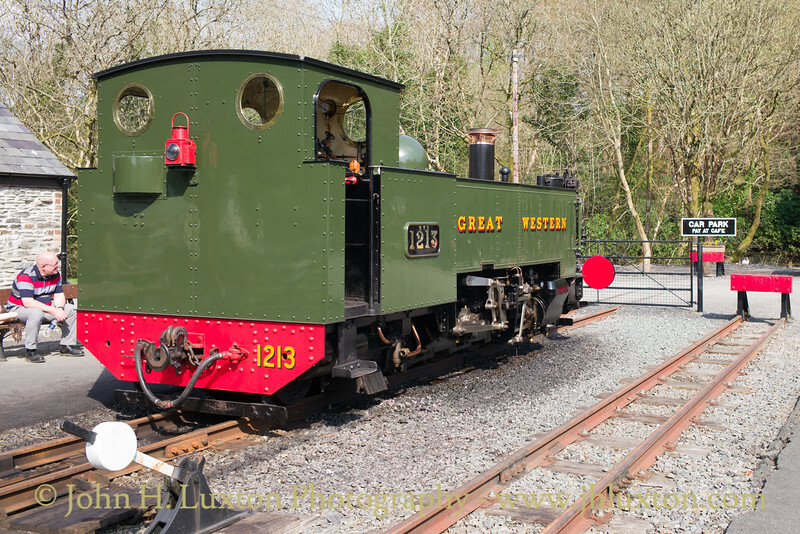 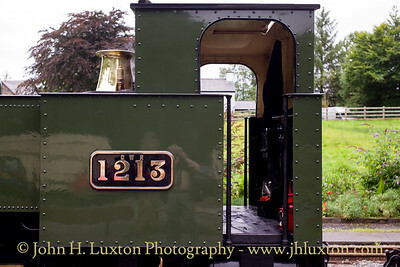 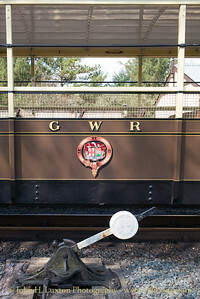 PRINCE OF WALES built by the Great Western Railway in 1924 rests at Pontarfynach / Devil's Bridge Station. 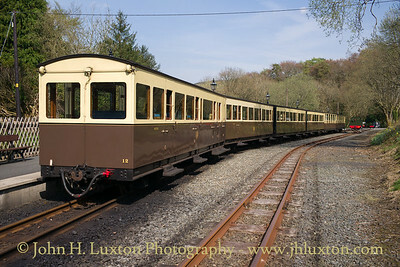 Semi - open carraiges known as "Summer Cars" built at Swindon Works in 1938. 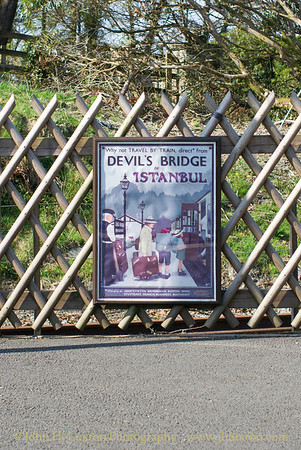 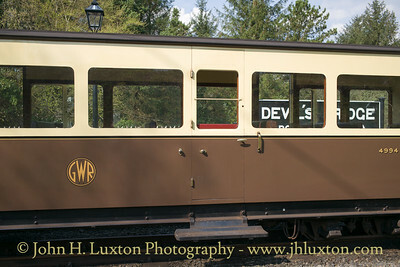 Train at Devil's Bridge - nearest camera is bake composite of 1938. 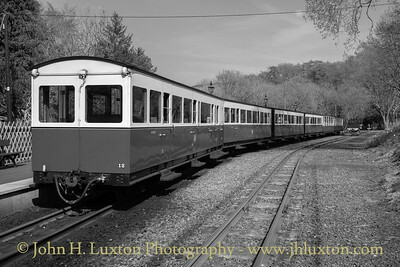 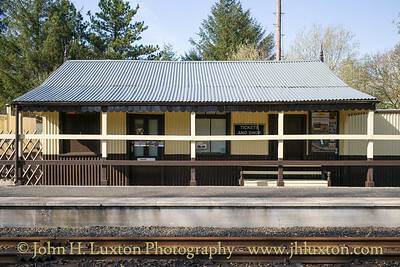 Rolling stock at Devil's Bridge Station - nearest the camera are the 1938 semi open "Summer Cars" built at Swindon Works. 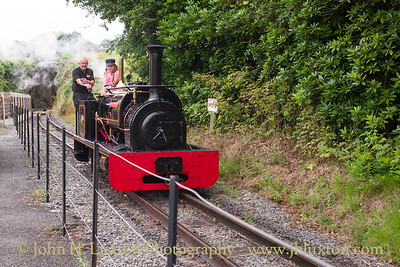 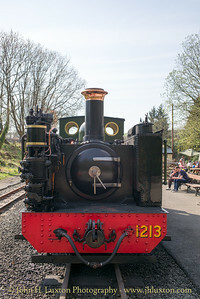 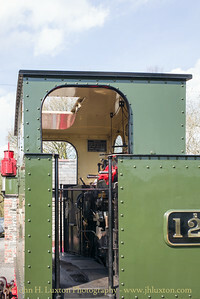 Quarry Hunslet MARGARET providing footplate rides at Devil's Bridge Station.